Quite a few of us are celebrating our third anniversary as supporters of Kiva through the Genealogists for Families (GFF) team initiated by well-respected researcher and Queensland genealogy guru, Judy Webster back in 2011. Not long afterwards GFF won a 2011 Geneablog Award for best new community project. Just the other day I got an automated email message congratulating me for my commitment to changing lives around the world. That sounds all very important and self-congratulatory, but it goes to the heart of why we’re involved with Kiva and GFF. I believe each and every one of us cares about our families and their well-being. In some countries, more than others, it’s a struggle to put food on the table every day, to have a toilet of any sort, or fresh running water. When we visited Africa last year I heard of people, living in reasonable housing, who had to walk kilometres every day just to get water for their home. Just imagine the weight of that water, and the time and energy expended in getting it home! As we drove around Nairobi and saw the slums, and the little shops which kept people afloat financially, I came to appreciate more fully just how challenging life is for many families. And yet, we’d see so many smiles and positive attitudes: workmen beside the road making furniture, small stalls selling flowers or plants, small clothes and produce shops, and people walking miles to get to work. Previously I’d been judgemental about those asking for loans for beauty or hair products but when you could see how the women always had their hair braided etc, I came to realise this was an important aspect for those with jobs which needed them to look “just-so”. 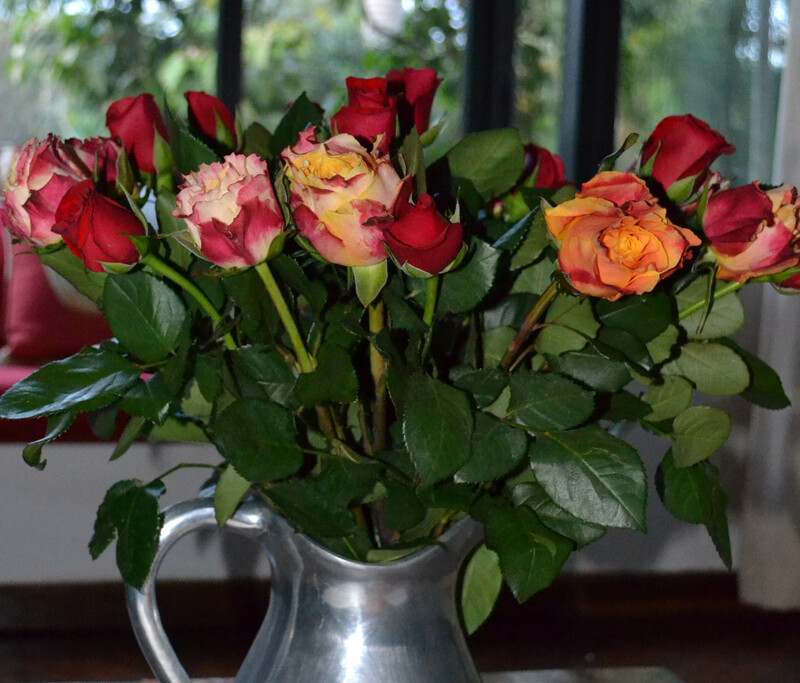 Some of the gorgeous roses from a nearby flower stall in Nairobi. Also along the way I actually saw some micro-finance offices among the shops, confirming that this was a practical way of obtaining loans for those who can’t access conventional bank loans. You can read how I’ve explained Genealogists for Families here and this new video by Kiva captures the essence of what we’re trying to do. So yes, I’m proud to be helping to make a difference to other families along with nearly 300 genimates in Genealogists for Families. Together we’ve lent over $120,000 in loans. Why not join us and help make a difference to other families’ lives? This entry was posted in Kiva Genealogists for Families and tagged Kiva Genealogists for Families by cassmob. Bookmark the permalink. It was so interesting to read about your experiences in Africa in relation to your support for Kiva. I was particularly struck by your comment about women needing to have their hair braided. It is easy to overlook these cultural differences when we haven’t personally visited the area. Yes visiting helped opened my eyes about a few things to do with loans I’d previously “rejected” out of hand. First world perspectives I guess, and cultural differences as you say. The three years has gone very quickly! Thanks Pauleen for the observations on Africa, most of my travel has been in Asia with similar experiences. It has indeed Shauna, it’s good to see the impact locally isn’t it? Congratulations, Pauleen. I was a slow starter. 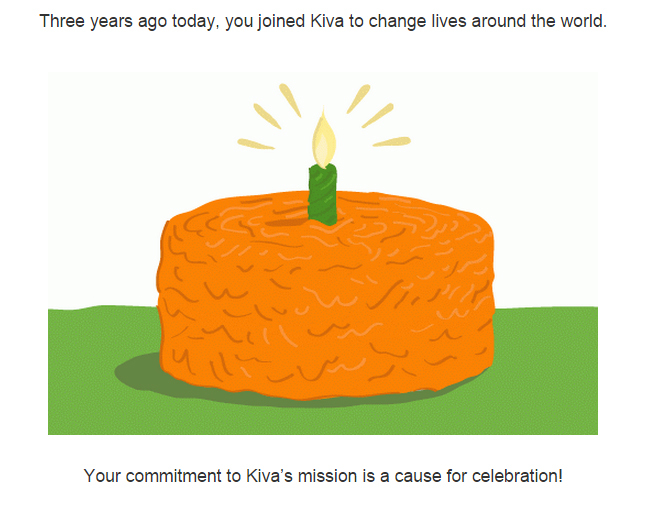 My Kivaversary is next week.